This past weekend, we went back to Vancouver for a few days. Not only did we have a bunch of people we wanted to see, but a list of restaurants where we wanted to eat. The list was way too long for the time we had, but we certainly ate well when we were there. Funnily enough, whenever I think of Montreal, where I lived for almost my entire life, there are very few restaurants that are ‘must visits’ when we go back to town. I don’t really know the reason why. The food in Montreal is diverse, delicious and affordable so I have no excuse for not having tons and tons of places that I have to go to when we visit, but it’s the truth. 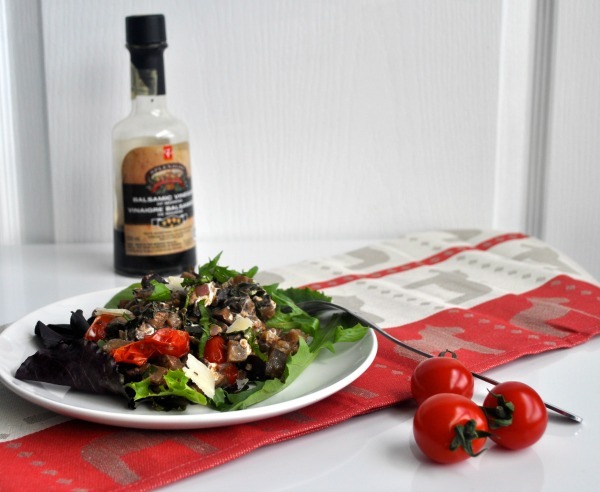 This entry was posted in Appetizer, Salad, Side dish and tagged Appetizer, Cheese, food, goat cheese, Mushroom, portobello recipe, recipe, Salad, side, vegetarian, vegetarian mushroom salad, vegetarian mushroom salad recipe, warm, warm mushroom recipe, warm mushroom salad recipe, warm portobello salad recipe on May 13, 2014 by mysecondbreakfast.